Suffolk County, NY - January 21, 2019 - Suffolk County Executive Steve Bellone today announced the completion of more than $7 million in dredge work as part of the county 2018-2019 Priority Waterway Dredging Program. The Suffolk County Department of Public Works has now completed dredge work in seventeen priority waterways across six towns to ensure safe passage for the commercial and residential fishing and boating industries. Suffolk County utilized an in-house, four-person dredge crew under the Department of Public Works Waterways section in addition to third-party contractors. 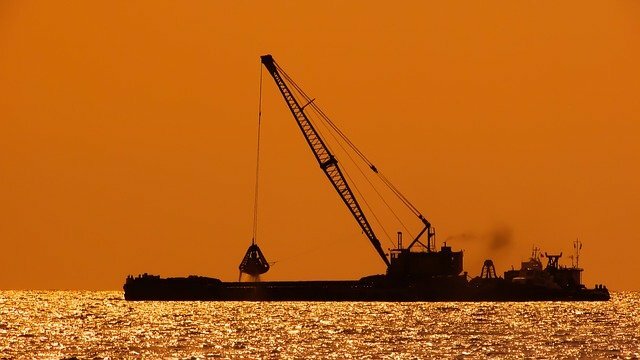 As local municipalities make requests for dredge projects throughout the year, the County prioritizes them based upon navigational safety needs for the upcoming dredge season. All together in 2018-2019, projects where completed in the Towns of Riverhead, Southold, Southampton, East Hampton, Shelter Island and Islip. In total, approximately 167,000 cubic yards of dredged material has been placed along approximately 11,000 feet of shoreline to restore local beaches and increase storm resiliency. Not only does this provide infrastructure protection, the additional sand is being utilized to restore an additional two miles of county beachfront to enhance the waterfront recreational experience for the public. Additionally, the County Executive announced the completion of two restoration projects with significant public benefit: the Meschutt County Park Beach Nourishment and the Coecles Harbor Revitalization project. The Meschutt County Park Beach Nourishment project restored approximately 1,300 feet of bathing beach in the park, which is located along the Great Peconic Bay, providing residents with areas for bathing, snorkeling, windsurfing and sailing. In addition, the protective feature design of the newly nourished beach includes an engineered berm that increases storm resiliency. Over the past 3 years this Park has hosted close to 150,000 visitors and yielded over $400,000 in parking revenue alone. Coecles Harbor, often referred to as the ‘Jewel of the Peconics’, underwent extensive shoreline restoration helping address a critical need for the town of Shelter Island. Crews completed dredge work in the Harbor restoring safe passage for thousands of boaters that utilize the harbor annually for public uses such as long-term and short-term transient mooring, and recreational pursuits including boating, fishing, and shell fishing. Additionally, the Department of Public Works performed extensive shoreline restoration to the significantly eroded and recently breached natural protective features at Reel Point. Reel Point, a vulnerable and recently compromised peninsula, serves as a natural barrier for Coecles Harbor, protecting more than $1 billion of real estate, millions of dollars of businesses, and an ecological diverse estuary with prolific seagrass beds that supports a thriving $650,000 per year shellfish industry. Reel Point also serves as a protective barrier to Taylor’s Island, a historic landmark destination, the Rams Island causeway, and multiple tourism locales including the Rams Head Inn Hotel. Subject: LongIsland.com - Your Name sent you Article details of "Suffolk County Executive Bellone Announces Completion of More than $7 Million in Dredging Projects"